On April 17, 2017, the San Antonio Spurs defeated the Memphis Grizzlies, 96-82, in Game 2 of their first-round playoff series. After the game, something just didn’t add up for Memphis Grizzlies coach David Fizdale. Numbers swirled in his mind, but they didn’t make any sense. The preferential imbalance from the referees finally broke the coach’s scale. Rocked by the injustice, Fizdale summoned Rodney Dangerfield and gifted us a delightful new, meme worthy phrase: “Take that for data!” Immediately, the David Fizdale rant went viral. We were even granted an amazing accent quote: “they not gonna rook us!” But what exactly made Fizdale so mad? And what other delicious content escaped his mouth? Much respect for the wine slurping game review. I imagine he also strokes a Persian cat while scanning through game film. At this point, the rant is ramping up. Steam can be seen rising from his shoulders. Get this man some Merlot. Well that sounds terrible, like Kawhi was coming around for free throws like they were Costco food samples. At this point, the fine-o-meter cha-chinged like a hot slot machine. He drew a flagrant-2 with that line. Who cares now if he tosses some chairs on the way back to the lockerrom. Even though he has a point, the bubbling Memphis Grizzlies coach began to boil. 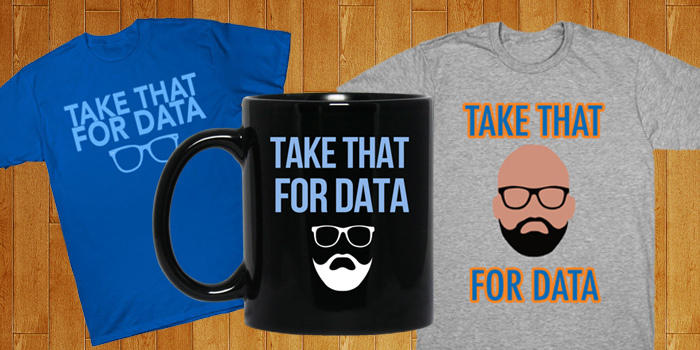 There are also plenty of ‘Take That for Data’ shirts and mugs available online with both Fizdale’s phrases, designs accented with his trademark beard and glasses. Since David Fizdale’s rant, many people use the “data” phrase, not just in reference to the coach, but as punctuation for a rebuttal involving data. It’s the best you can hope for in a really really specific moment. As we all expected, he was hit with a $30,000 fine. The Spurs took down the Grizzlies in 6 games. The Warriors won the title. Same old same old. 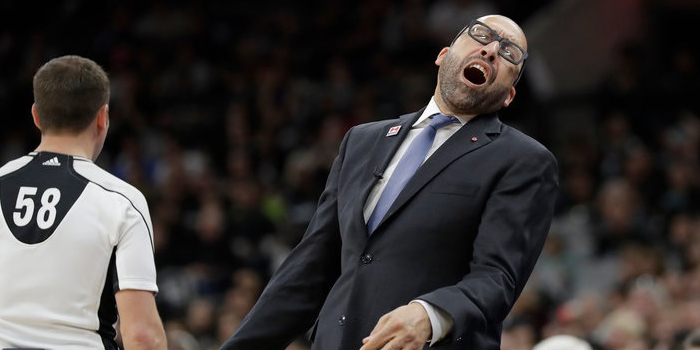 Fizdale was fired after 19 games into the 2017-2018 season. His fiery passion carried him all the way to New York, where plenty of bizarre quotes will no doubt begin.